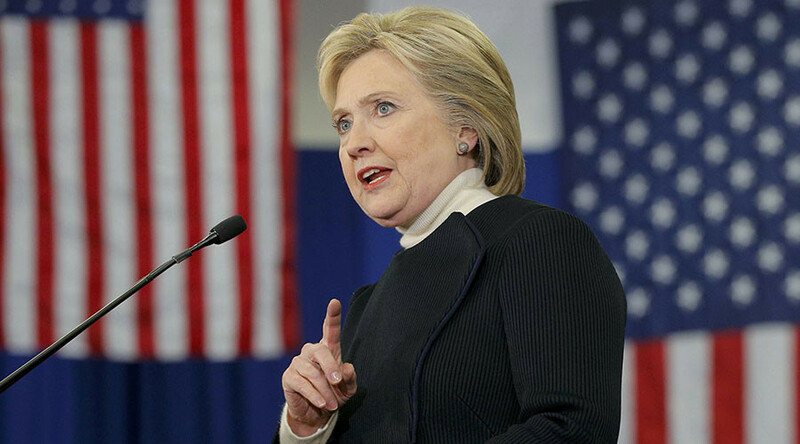 Democratic presidential hopeful Hillary Clinton has moved the goalposts on releasing the transcripts of her paid Wall Street speeches, saying she will only do it if Republican candidates do the same. Clinton was asked about making the transcripts public at a CNN town hall event on Tuesday. “Why is there one standard for me, and not for everyone else?” she responded. "If everybody does it, and that includes the Republicans ‒ because we know they have made a lot of speeches," she said. The former secretary of state has been asked about her paid speeches because she and her husband, former president Bill Clinton, both received large sums of money from top banks for private speeches, the contents of which have been kept secret. When Clinton was first asked to reveal her speeches, she said she would when her opponents did. Fellow Democratic presidential hopeful Bernie Sanders answered last week, releasing the scripts of speeches he gave. In 2014, he made a total of $1,867 and gave the money to charity.
.@HillaryClinton believes Republicans should set the standard for disclosure of her Wall Street speeches. Aren’t we better than that? “Sen. 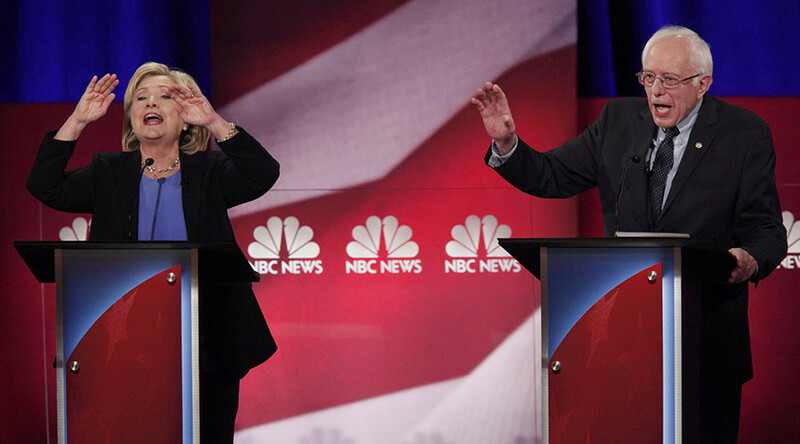 Sanders accepts Clinton’s challenge. He will release all of the transcripts of all of his Wall Street speeches. That’s easy. The fact is, there weren’t any. Bernie gave no speeches to Wall Street firms,” Sanders spokesman Michael Briggs said in a statement. 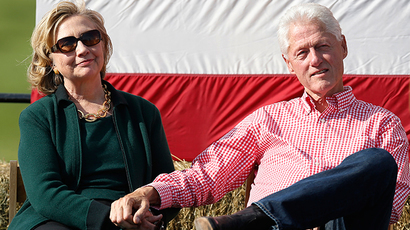 In 2014, the Clintons earned a combined $25 million for 104 speeches. In a 15-month period from the start of 2014, Hillary Clinton made more than $11 million in speeches, according to recent financial reports. The year before, the former secretary of state made $675,000 from giving three speeches to Goldman Sachs. Clinton’s impartiality has been called into question because she also receives large campaign contributions from the same financial institutions to which she gives speeches. During a 2013 speech to Goldman Sachs in Arizona, Clinton praised the bank and didn’t mention the financial crisis, an attendee told Politico. “It’s so far from what she sounds like as a candidate now. It was like a rah-rah speech. She sounded more like a Goldman Sachs managing director,” they said. In another speech to Goldman Sachs in New York, Clinton said it wasn’t just the big banks who caused the crash. She insisted it was worth re-assessing the Dodd-Frank Act ‒ legislation passed in 2010 to tighten financial regulation through the establishment of federal watchdogs, reducing risk for third parties ‒ to see what was working and what wasn’t, an attendee said. 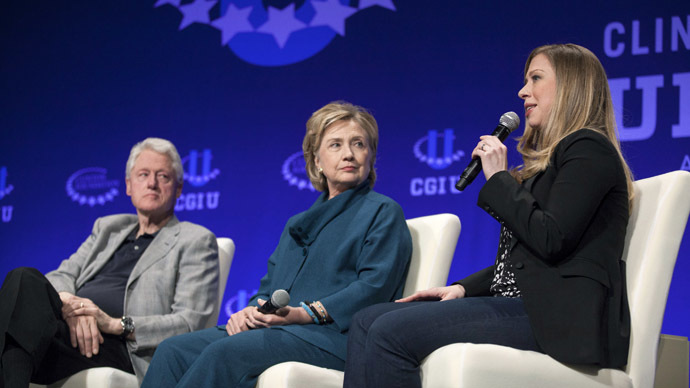 The Clinton Foundation, established by the former president after leaving office, receives huge sums of money from wealthy donors, including nations such as Saudi Arabia and defense contractors such as Boeing. In 2011, when Hillary Clinton was secretary of state, Boeing and other defense contractors delivered $29 billion in jets to Saudi Arabia, with Clinton aide Andrew Shapiro stating the deal was a “top priority” for Clinton. Boeing donated $900,000 to the foundation two months before the deal was finalized, and Saudi Arabia had donated more than $10 million to the foundation before Clinton became secretary of state.